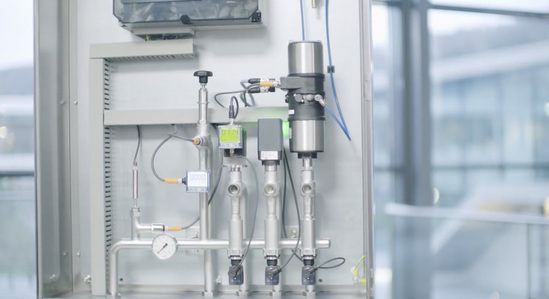 Bürkert Fluid Control Systems provides modular, customisable process control platforms for the regulation of temperature within industrial heating and cooling processes. All types of thermal transfer media can be measured and controlled, including air, water, oil or a combination of these media. All sensor variants deliver reliable measurement values and can easily be integrated into systems, irrespective of the application. The compact design and close-to-tool placement minimise the dead volume. To that, the energy efficiency can be increased through the reduction of heat dissipating surfaces. Due to orbital welding seams and high-temperature graphite seals there won’t be any leakages even with extreme temperature fluctuations. Furthermore there is no installation work needed for piping between the valves. Different actuators, systems and sensor variants can be chosen, as well as the most appropriate communication interface for each application. Multi-channel flow control for managing process temperatures of plastic injection, extrusion or die-casting. Media cabinet for temperature management in pressure die-casting processes. Coolant distribution system for extruder temperature control. 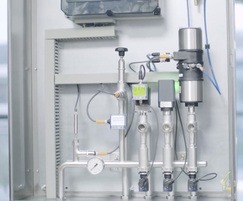 Modular valve system for variothermal temperature control.